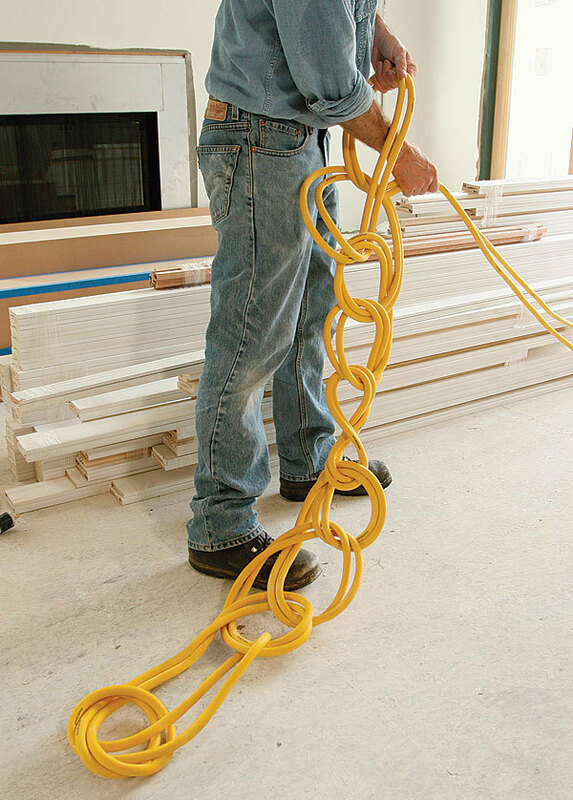 We’ve all done this or have seen it done on the job site, but coiling cords too tightly introduces twists and kinks and should be avoided. 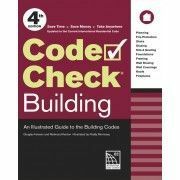 Despite all the cordless tools that keep showing up on job sites, air hoses and extension cords still need to be rolled out every morning and wrapped up at the end of the day. 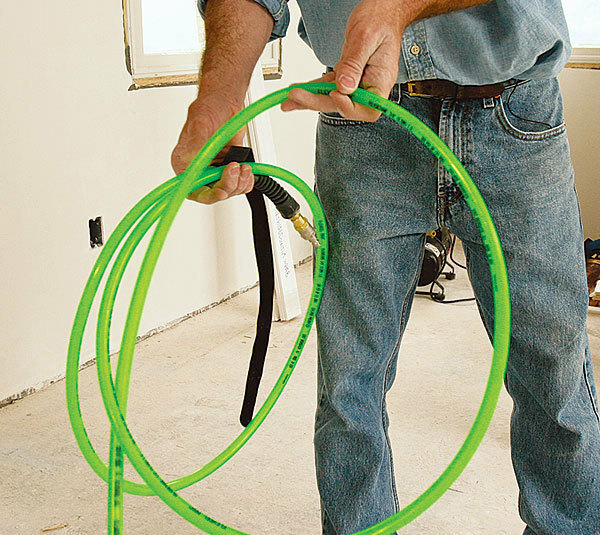 Coiling them tightly for storage introduces twists and kinks that can cause damage and make them harder to manage around the work zone. 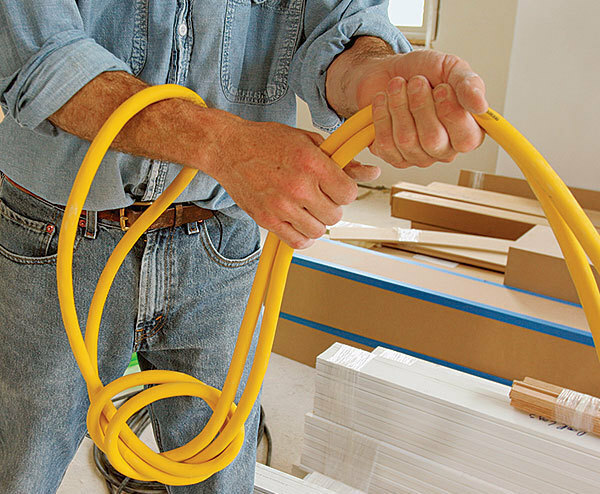 To keep a medium-gauge electrical cord in good condition and to avoid coiling, I drape the line back and forth over my hand until I have a few feet left. Then I tie off the bundle with the remaining cord and create a loop to hang it with. 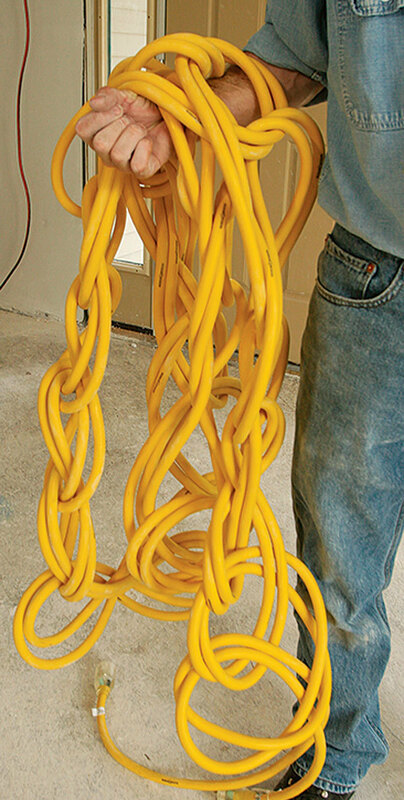 For heavy-gauge electrical cords that are too bulky to drape and bundle, I weave a daisy chain, which then can be folded into a manageable size for transportation and storage. 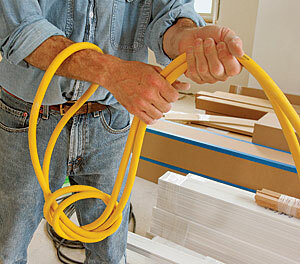 For polyurethane air hoses, I avoid twisting the line by folding every other loop in the opposite direction. 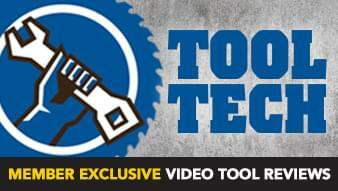 This method requires less time to coil the lines, and it allows them to be uncoiled easily. 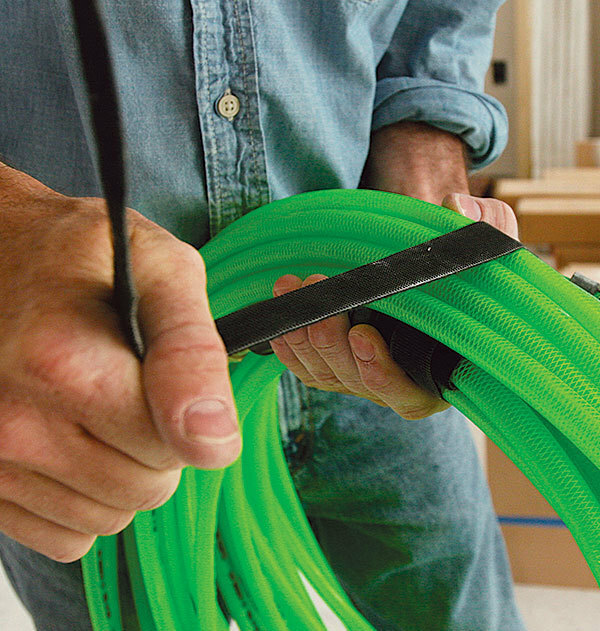 No matter what method is used for wrapping and storing hoses and cords, it’s important to avoid kinking or creasing the line or housings. 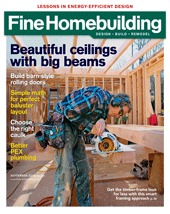 For that reason, I avoid wrapping cords too tightly or hanging them from nails for storage. Instead, I hang cords on 2x blocks of wood fixed to the wall. Double the cord. Collect the male and female plug ends together. Drape them over your hand, and begin looping the doubled cord back and forth. This prevents the cord from twisting. Note: The bumpy appearance of this cord is evidence that it was mishandled severely in the past. Tie the cord. With a few feet remaining, I begin circling the cord around the middle to tie off the looped bundle. I don’t pull the loops as tight as I can; that puts unnecessary strain on the cord. 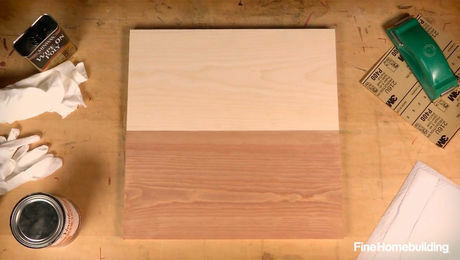 Create a loop for storing. 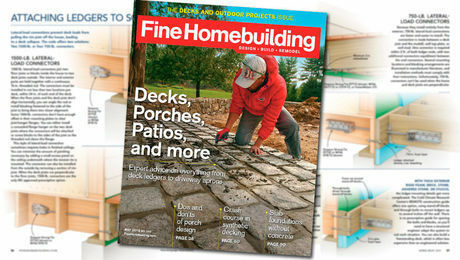 Finish by passing the doubled end through the center of the bundle. 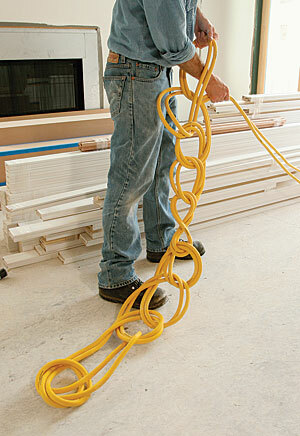 This prevents the cord from unraveling and provides a loop to hang the cord from. Note: This method of tying off the cord might not be recommended by the manufacturer because it could eventually distort the shape. 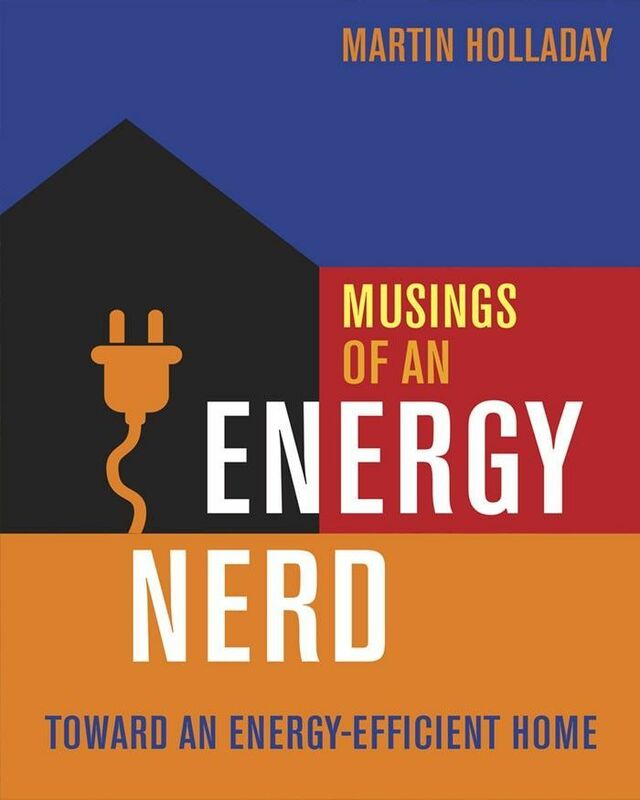 In my experience, the damage is minimal, and the payoff in convenience is worth the risk. 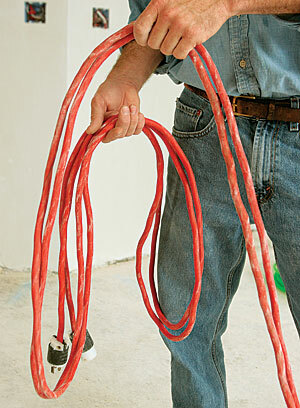 Job-site cords and hoses should not be left lying around at the end of the day. 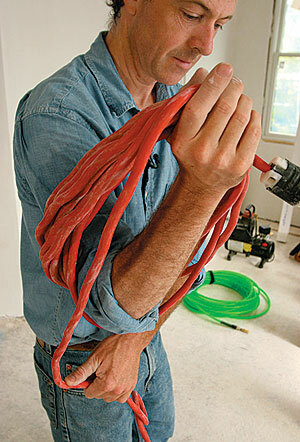 Although there are any number of options for tying up cords and hoses, I like to use Velcro. Not only has Velcro (www.velcro.com) come up with different sizes and strengths of its hold-fast hook-and-loop fabric, but it also sells a variety of colored straps. 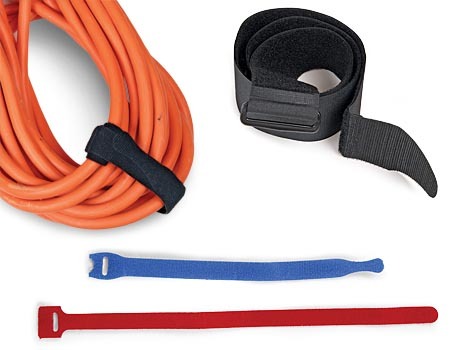 Color-coding cords and tools for different job sites, equipment owners, or cord gauges is a smart way to stay organized. 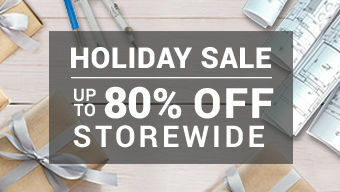 At less than $6 for multiple ties in red or black, or a variety pack, there is no reason not to enhance productivity with proper cord management. Start with a simple knot. Double the cord, and tie a knot in the end with the loop. 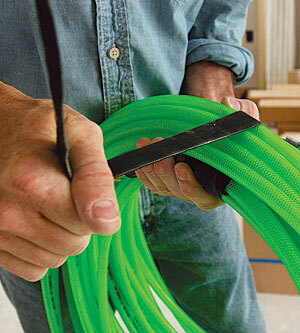 To begin the braid, I pass my hand through the loop and pull the doubled cord back through. This creates another loop that I pull the cord through. And so on. Keep the loops loose. I keep loops medium in size and avoid pulling them tight to prevent kinks from developing in the cord (photo left). 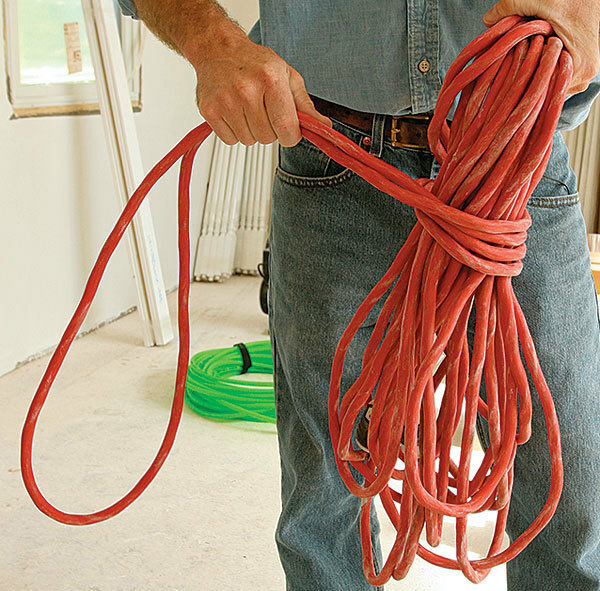 When coiled, the cord can be folded for ease of handling and storage (photo right). 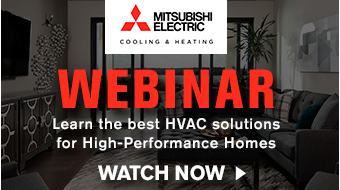 Every other coil is reversed. 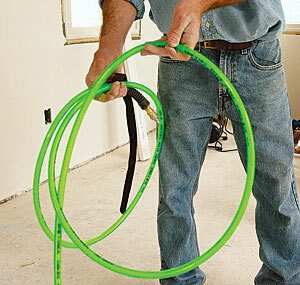 Begin coiling the air hose by looping it once at one end. To reverse the second coil, bring the loop in so that the line exits behind the second coil. Strap for storage. 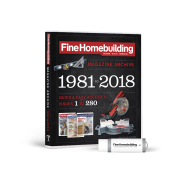 While a scrap of electrical wire can be used to secure the bundle, I prefer a Velcro cloth strap, which comes with many cords or can be purchased separately at home stores (click the “Read More” button above for details). 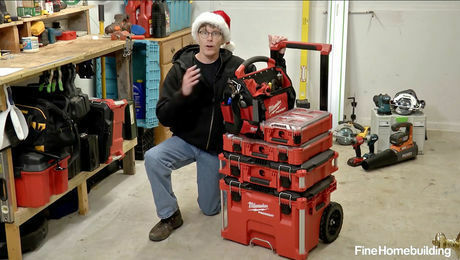 Magazine extra: Watch video of Tucker demonstrating the three techniques he uses to wrap his cords and hoses. 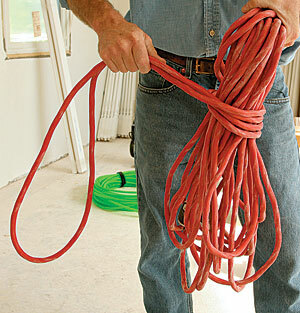 As any sailor will tell you, you must give a twist to the electrical cord with each hank, just like rope, air hose (and garden hose as well). This explains why one shouldn't dump the electrical spool on the ground and start pulling when wiring a home. You'll get those twists--in reverse. Mount the spool on an axle. 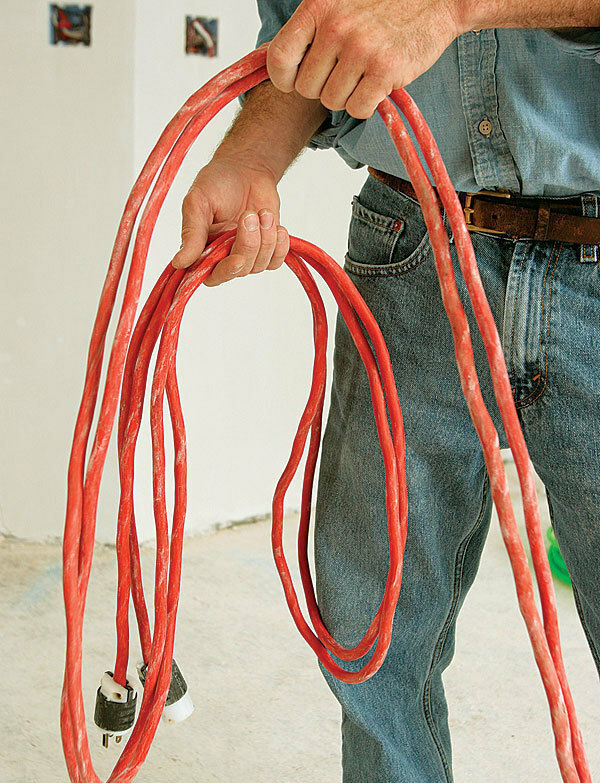 For extension cords, simply purchase a hand-cranked spool from the Orange or Blue store . It's much simpler than all of these methods. 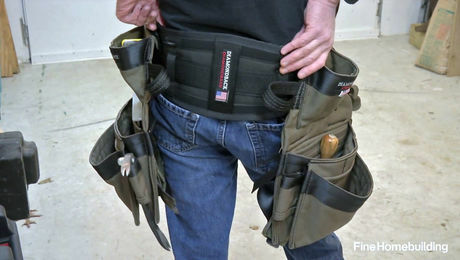 The belts and bags from Diamondback Toolbelts are super high-quality and made in America. 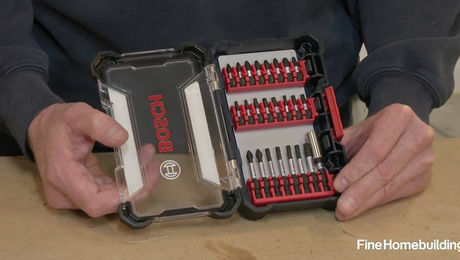 Bosch's modular bit cases allow you to arrange and store the bits you use most often. 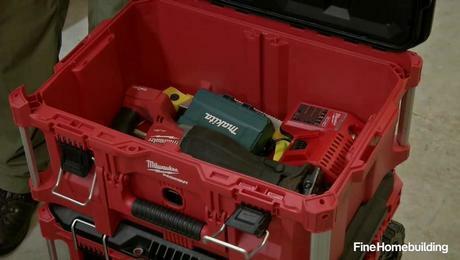 These Intelligently designed storage boxes make it easier to get your stuff to the job.